Fine Search improves your opencart search and increase your product sales. You can easily find your relevant products on the search results. For instance, you have searched for ‘iphone 4S’. It will display ‘iphone 3’ on top of ‘iphone 4S’ on the result list. This is confusing. This module will bring you the appropriate search results relevant to your keyword. This will increase your sales and will satisfy your customers. This module supports partial word matching; like if you type keyword ‘App’, it will also bring ‘Apple’ in the search results with the proper order. You can even search with a minimum of a single character. If you type ‘A’, it will bring the results starting with ‘A’. You can control your search from the admin panel. This provides an admin interface to define the fields which will be matched against the typed keyword. You can also set the sort order from the admin panel. * Easily find your relevant products on the search results. * Supports partial word matching. * Search with a minimum of a single character. * Admin interface to define the fields to match keyword. * Set the sort order from the admin panel. * 100% compatible with any theme. * Free installation if needed. If you want to have the module installed in your system, email me at tahsin352(at)gmail(dot)com. Using OpenSSLCOMMERZ module you can pay with the authorized payment processor of SSLCOMMERZ. For this, you need to get registered with SSLCOMMERZ first. All the payment gateways are supported by SSLCOMMERZ. Please first get registered with SSLCOMMERZ. Secure and fast payment processing. It verifies an user with the store id provided by SSLCOMMERZ. It has both live environment and test environment. It collects information and then submits the gathered one using POST method. Product Based Quantity Wise Shipping module allows users to set shipping cost for each product according to their product quantity. You can create as many product based rate as you need. Admin can enter shipping cost for each product in administrative panel. You can set the shipping price according to the product quantity. It will display shipping price for each different different product. Recently, I have come across to a need to rename an existing git branch. I googled and found the way to do it. Basically, it's a three step procedure. First, we rename the old branch into the new one. Then we will remove the old branch from the remote repository. And now we push our newly created branch to the repository. I was working on truncating rich contents on HTML editors. On the server side, we need to count the number of characters, then we need to truncate the string with keeping the HTML tags intact. There is a class to truncate a rich text on the specific number of character or word number: http://www.pjgalbraith.com/2011/11/truncating-text-html-with-php/. This class uses php's DOMDocument. It parses each DOM element and count the characters appropriately. I have updated the pattern in the regular expression to allow all non space characters. The textContent method only returns the text contents within a DOM. Sometimes, we need to merge some specific files to a central working branch from our feature local branches. At that time, we also don't want to move all the changed files from our local workplace. Here, we need a way to bring only our needed files from that branch. First of all, we will be in the destination branch. We can simply give git checkout the name of the feature branch and the paths to the specific files that we want to add to our master branch. Opencart caches the data at every page load. we have caching on currencies, languages, categories, products, category product counts, weight classes, tax classes, etc. In front-end models, when fetching data from database, OpenCart looks for the cached data prior to querying the database. They are stored in plain text files using PHP's function serialize(). If system gets any cached data, they are fetched and unserialized and returned to the controller without querying the database. Thus the fetching should be much quicker. If there are no cached data, then the database is queried and these data are then serialized using PHP's function serialize() and saved to the corresponding cache file. Here is one small problem that may occur. After You have edited the data directly in the database, (using phpMyAdmin, may the reason be whatever for this) the change is not present at frontend. This is because, there are older data cached that are fetched when asked for them. If You have to do such editing, then do not forget to manually delete corresponding cache file(s). The cache is instantiated and registered within index.php. it is then accessible in both controllers and models as $this->cache; while methods set(), get() and delete() are callable. The cache class itself could be found at system/library/cache.php and is quite simple and straight forward. Now, in the administration (backend) part of models, when editing or adding data (category, product, currencies, weight classes, etc), after the data is successfully stored to the database the corresponding cache file is immediately deleted. So it could be re-created at frontend containing up-to-date data. The cache files could be find at /system/cache/ folder. Git version control system is gained very much popularity in recent times. It is a distributed version control system. Today we will see about how to see our unpushed local git commits. We have done some coding in our local work machine and we had committed those in several times in past few days. Now, we want to see what commits are still waiting to go to the remote repository. We can get the commit with log comments using the comparison between master and HEAD. You can also view the difference using the same syntax with the same comparison between master and HEAD. we have strlen or mb_strlen to count normal strings or multibyte UTF-8 encoded strings. When we have HTML elements into our strings, then we need to remove the elements. And if we want to copy rich content text from other websites, then we need to consider the white space characters. we need to replace newline, carriage return and tabs etc. Here, we first strips the tags from content. Then we replace the carriage returns and newlines in the contents. Now, we will remove the tabs. Finally, we count our processed content. Using strip_tags we can remove HTML element from a string. But we want to remove selected tags from a string. we can use regular expression to implement this feature. The below regular expression provide us a way to remove the selected HTML tags from the string. Then we replace the matched pattern with the matched text string of preg_match_all. The PREG_PATTERN_ORDER returns the matched tag pattern in the first array and returns text pattern on the second pattern. Sometimes we have untracked files. At times, we want to delete those untracked files. Below are a list of commands to delete untracked files from git. Recently, we need to calculate the start and end date of a specific week for a given date. We need to keep in mind that a week might overlap into two consecutive months, two consecutive years. The getDate() method returns the day of the month (from 1 to 31) for the specified date. We subtracted the getDay value from the getDate function. This returns our start and end date of a specific week. For example, we have the below input field. To input an array or an object like post_array, you need to populate the field using the below code block. This might produce some erroneous behavior in response. Because, hidden input fields normally expects string values. So, to stay safe, it is best to stringify the array or object. It hung up on the window. I googled and found that '-d' option is no longer supported. They are suggesting to use memcache 1.4.4. Then I download memcache 1.4.4 from here. 1.Extract the downloaded files and unzip it. 2.Open CMD and go to the downloaded folder. 4.Now go to Start->Administrative Tools->Services. 5.Double click on the memcache list. 7.Now we need to download the .dll file for vc9 from here. 8.We will put the .dll file under php/ext folder under xampp. 9.Also we will write extension=php_memcache.dll on the php.ini file under php folder. 10.Now we will restart Apache. Remove the file from this folder. Currently, Git is getting popularity as a distributed version control system. Many Subversion repository is moving from SVN to Git. I have recently moved a SVN repository under GIT version control system. Nginx is a very lightweight and highly scalable server. If we don't want to use all of the modules of Apache, then we can go for nginx. Now, we add the sources to the source list file: /etc/apt/sources.list. From source: we can also get it from source. Gzip compression is one of the way to optimize site performance. 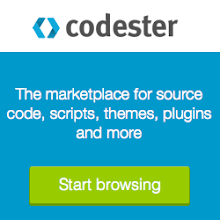 A client browser sends a header request of Accept-encoding: gzip, deflate. Then server knows that his client is gzip enabled. It compresses it's contents and sends back Content-encoding: gzip, deflate. There are several ways to gzip compress a website. Using .htaccess: We can enable gzip compression with .htaccess file. For that we need to enable mod_deflate or mod_gzip. It's pretty simple to work with mod_deflate. To enable it, please uncomment the load module line in httpd.conf file. Now restart apache. You are all set to go with deflate module. Then, we add some exceptions. like for Mozila version 4, we only compress text files. And also for IE, we will not gzip our contents. Because there is some bug with compression in those user agents. If we don't have mod_deflate enabled or we don't have proper permission to write .htaccess files, then we can compress files using php ob_gzhandler function. We check the "Accept-encoding" header and return a gzipped version of the file; otherwise the regular version. Recently, I was working with ckeditor 4.1. It has some security updates. I was posting some HTML contents using the editor. When I go to Design mode from Source mode, and then again come back to Source mode, I found the class attached to the HTML elements were missing. Ckeditor 4.1 introduces Advanced Content Filter. This filter outs suspicious HTML elements with CSS class, JS attributes. To disable ACF, we need to add the allowedContent property to true on the configuration file. We needed to manipulate JSON values on Client side. We searched the web. There are some very good options available for JSON manipulation. We can use the stringify and parse function for this purpose. 2. Place the .app file under a Payload (case-sensitive) folder. 3. Now zip compress the Payload folder and then rename it with .ipa extension. 4. We are done. We get the equivalent .ipa files. I was working with email templates and found that !important CSS property is not working in Outlook email template. It works correctly in Gmail and Yahoo!. So, it's better to remove !important property from the email template when we create one. How to remove missing files from svn? I accidentally removed files from my local machine. But they are listed on SVN repository. Hence, those images are showing as '!' in svn status. Then just commit your changes. Fixed. I was working with opencart. And I was facing problem with removing ajax enabled shopping cart feature from opencart. Prior to 1.5, Opencart provides an option on the admin panel to turn off the ajax cart feature. But this option is no longer exists. To remove this feature, we need to add some code on the common.js file. There is a function addToCart(). We have added a custom function RedirectToCart(). 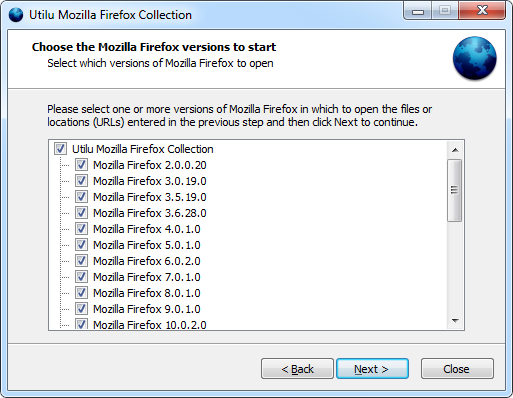 Utilu MFC provides us way to test our website on multiple versions of Firefox web browser. It ranges from versions 2 to 21. You can set the URL to open in to multiple versions or you can manually chose which browser to open. Again, we can open up multiple URLs also into multiple versions. We need to use spaces when we will define multiple URLs on the text box. 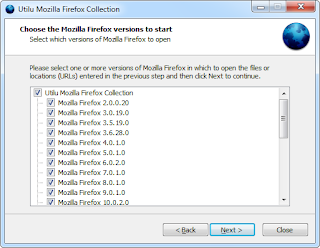 Utilu MFC includes Firefox Web developer addons into each browser versions. You can also run the tool from command line. This software is mainly targeted for developers. But others can use Utilu Slient Setup. Git is an excellent system for version controlling. We create one user to set up git repository for ubuntu or unix. But we always need multiple users to access git. 1. Create each user manually on the system. 2. Use gitosis to share access on the private/public key. I googled it and found a solution for this error. Now mhash has been removed, so, it is no longer a required feature.